Networked thermostats, fitness monitors, and door locks show that IoT devices can (and will) provide abundant ways for people to interact with the world around them. But designing connected products for consumers is a challenge that involves issues beyond UI and interaction design. This book provides experienced UX designers and technologists with a clear and practical roadmap for approaching consumer product strategy and design in this novel market. 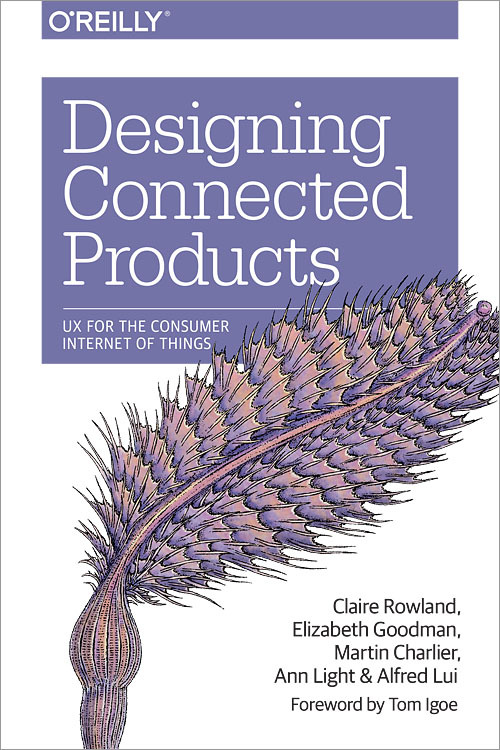 By drawing on the best of current design practice and academic research, Designing Connected Products delivers sound advice for working with cross-device interactions and complex ecosystems inherent in IoT technology. “In a field where the hype can change even faster than the technology, this book grounds designers, entrepreneurs, and technologists in what matters—the fundamentals of people’s behavior, networked technologies, and the context both now find themselves in. In doing this it reaches back to a larger historical field of research, design, and evaluation that is invaluable. “As a grizzled veteran of several campaigns within the matter-battle of the Internet of Things, I was pleasantly surprised to find the number of times this book made me pause, think, and rethink my own work (and that of others). A very valuable addition to the canon of design thinking in this emerging area.